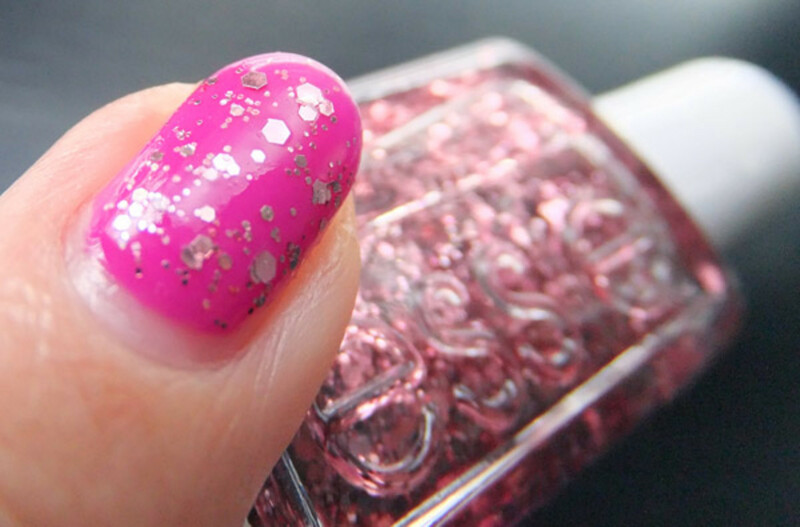 Have you been disappointed by glitter polish in the past? 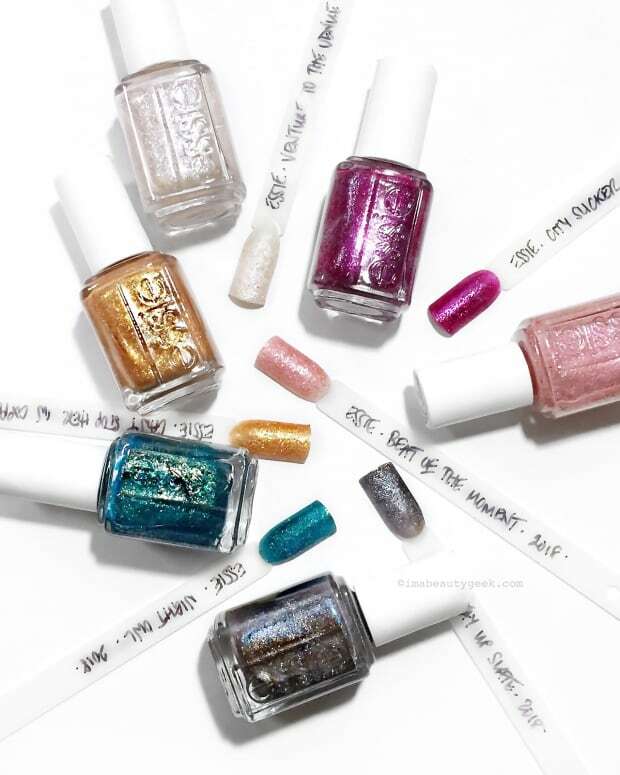 Here's how the Essie Luxeffects Topcoat collection looks on nails so you can decide whether you like any of them enough to buy them. 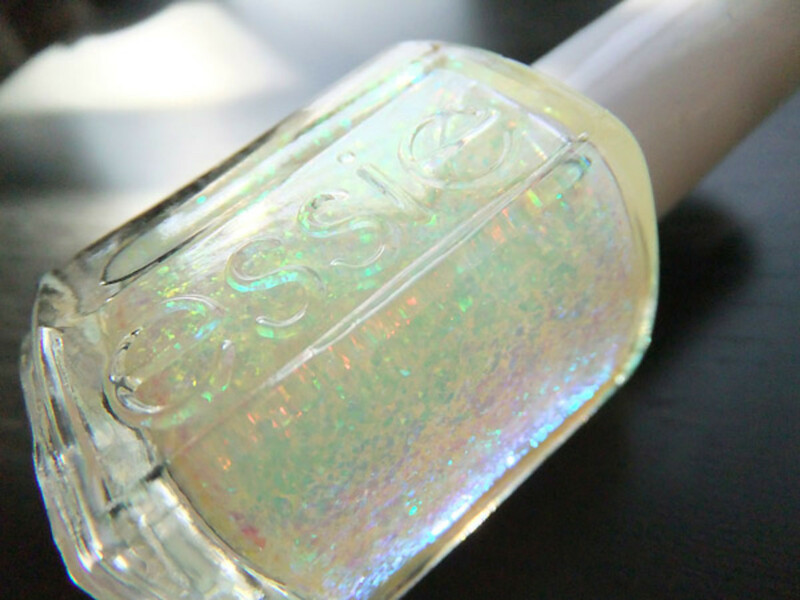 When I posted my photos from the Essie Luxeffects Topcoats preview last week, Angela commented that she&apos;s been disappointed by glitter polish that won&apos;t give up the glitter -- all the sparkle stuff stays in the bottle -- so she needs to see pictures and testimonials. 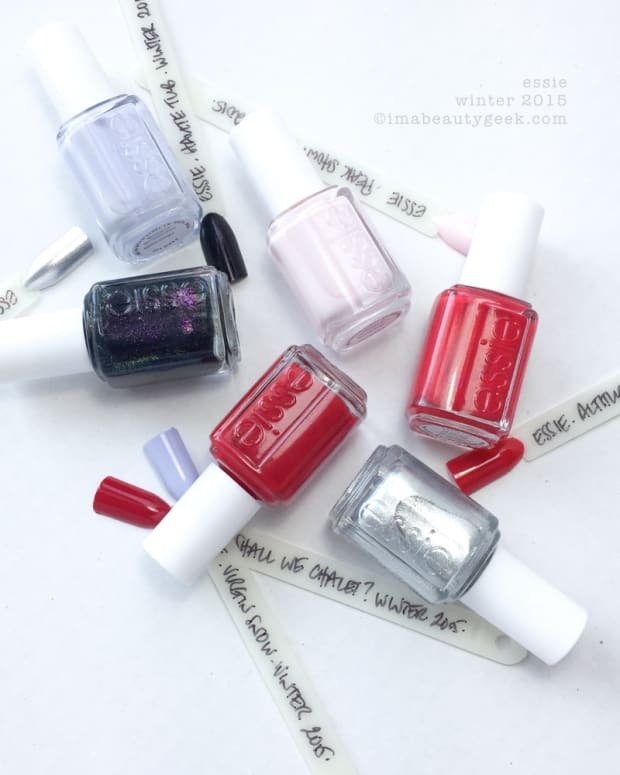 So Angela, here you are, along with some new photos of the Luxeffects collection in better light. 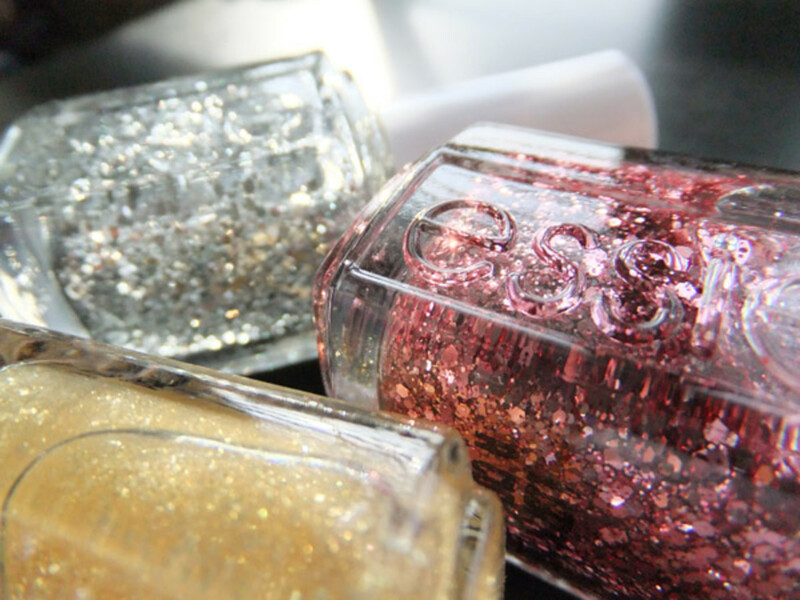 Top photo from right: Essie Luxeffects Topcoat in A Cut Above, As Gold as it Gets and Set in Stone. Above, Shine of the Times. 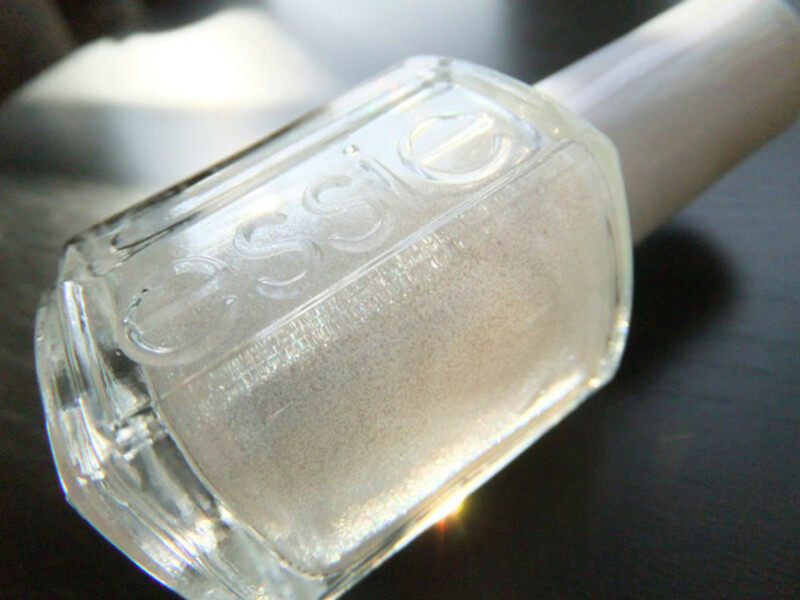 Below, Pure Pearlfection. My base colour is Gelish soak-off no-chip mani in Carnival Hangover -- it&apos;s more purple than the pink it seems in these photos, and please pardon the regrowth. 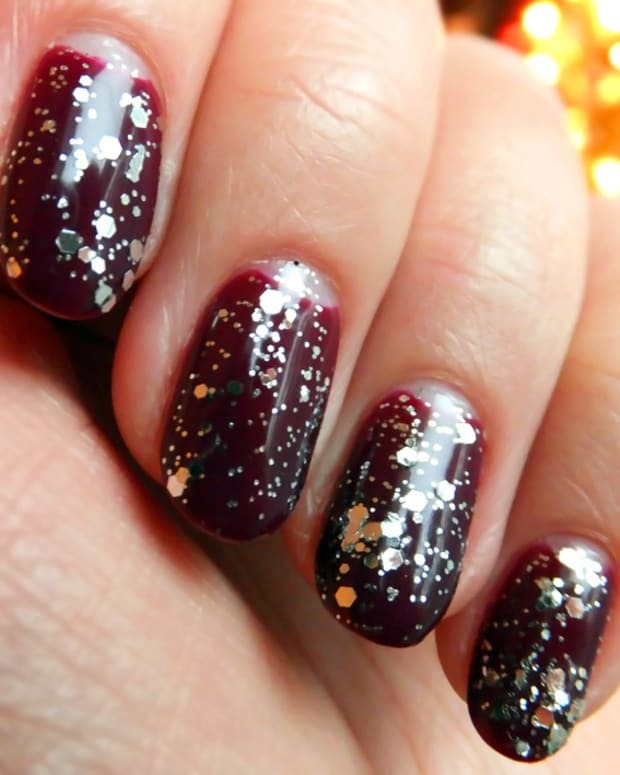 Imperfections aside, you&apos;ll get the glitter idea. 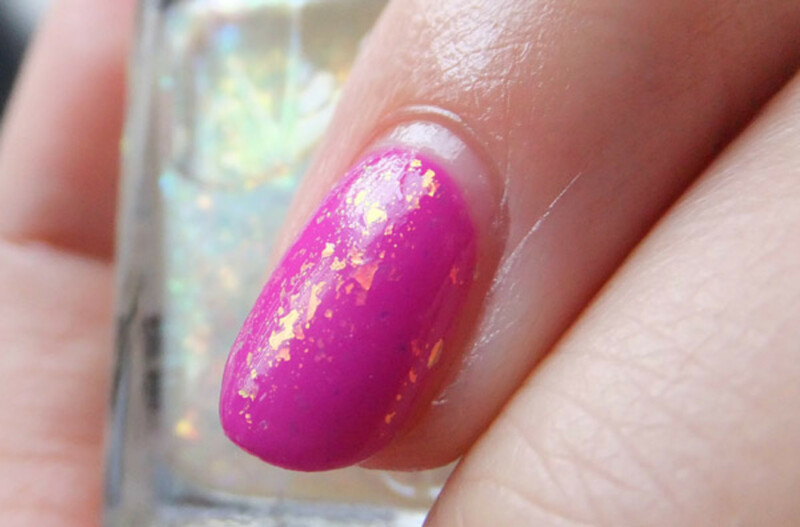 Carnival Hangover + Pure Pearlfection. Carnival Hangover + Shine of the Times. Carnival Hangover + As Gold as it Gets. Carnival Hangover + A Cut Above. Carnival Hangover + Set in Stone. 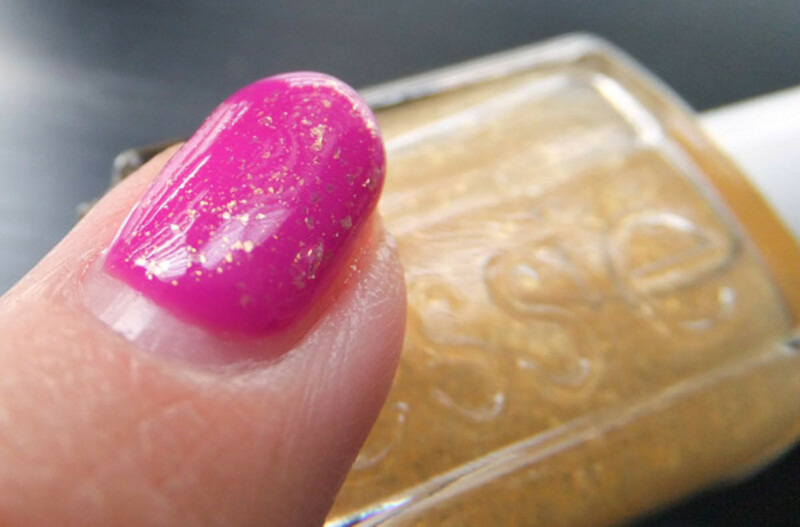 If you&apos;re having issues with glitter staying in the bottom of the bottle, here&apos;s how to get that glitter out of the bottle and onto your nails.